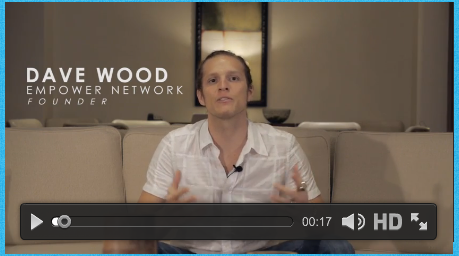 Today I would like to discuss the Empower Network and its unethical business strategy. What is the system all about? Is it a great business model that you should invest your money into? 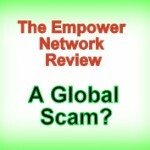 Is The Empower Network A Scam? Find out the answers to these questions plus much more within this review. I will also open the comments section below for you to share your views. How did you got introduced to the Empower Network? Did you lose or make money using the system? Would you recommend the company to your families and friends? Let talk about the Ponzi scheme below. I am looking forward to your thoughts. Many people who are searching online for genuine opportunities to make money are often confused about the Empower Network, this is because of the relentless gurus out there who are promoting this scam. Many people who have experienced Empower Network are really not happy about what it offers, and I will go in-depth to uncover some of the reasons within this article. There is just one thing that must be clarified before going forward. Empower Network is one of the lowest ranked products (if it is even defined to be that) that is reviewed online and you will get to see why when I go into the full details on this web post. One of the most widely known persons who promote Empower Network is a convicted con man named Vick Strizheus. You may have seen him online before. Do a quick google search on him and you will see his full bio. He is just one of the thousands of people out there who promote this scam. Since you are reading this, chances are that you are thinking of joining Empower Network or you have joined them already, and is just wondering if you should proceed further or not. One thing you should know right now is that they are a very deceitful company that promotes unethical promotions, and if you become a member you will most likely do the same tricks that these cyber criminals are known for. Unfortunately, the cons outnumber the pros within the Empower Network. The main problem with Empower Network that I have come to realize, is that there is not a real product behind what they are offering unless YOU are the product. The goal is for you to sign up and get you to promote the very same scheme to people and building a downline. It is not like the more traditional MLM companies like Pampered Chef or Avon where you sell real products to customers. The Empower Network COMPLETELY lacks this element. Is The Empower Network Intended For You? The Empower Network Ripoff claims that you will make a lot of money, with little money, with little work and that it will just operate on auto. There is one thing that I have learned during my time online and it is that when anything sounds too good to be true, it usually is a scam, and you need to run as fast as you can from it. Anyone can join this program, however, it is intended for those who are willing to work very hard to build a downline and do it in an unethical way. So if that sounds good to you, you may as well right now go ahead and join them. Below is a quick breakdown of how the compensation model looks like. What do you think? Do you get the full picture or not? Let me just go into details to make it a bit clearer. It is like a “pen mail” where you send five people, they send another five people…and then so on and so forth. 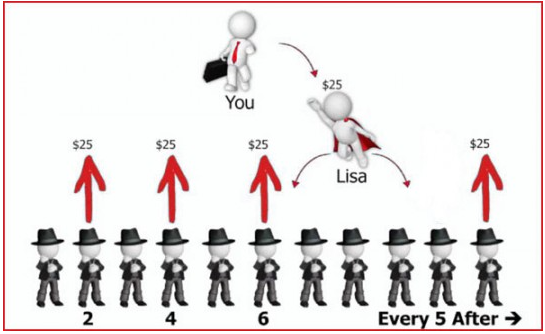 Only the person at the top of the pyramid gets paid the most, just like all the unethical Ponzi scheme out there, the Empower Network has unlimited stages and payouts are always going to be passed up to the richest people at the top. So when it all comes down to it, YOU are not at the top and you will have to adjust to be an aggressive recruiter of one of the most sleazy program online. If you are not into the hard selling of a scam outlined like the one above, I am afraid that Empower Network will not be the right choice for you. Tired Of Online Scams? Click To See My #1 Recommendation! What Tools And Training Does Empower Network Offer? They have several different levels to the training offered at Empower Network, each with an additional price point. The training provided depends on who you sign-up through in this Ponzi scam. Some of their “affiliates” will offer you wonderful support and help (in an attempt to build more success by having a successful downline – YOU). The materials within Empower Network are extremely weak in nature as they are centered entirely around promoting empower network to victims of the crime. 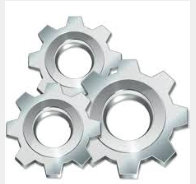 Once you are a part of the Empower Network, you will be pressured to upgrade to the system. This is what you call the all in, and one thing I would like to point out is that the person you sign up under will label you derogatory terms if you do not sell the program that I will not mention here. Why? Because if you do not buy all the modules and training within the Empower Network, then you will not make the big boys at the top any money. Yes, that is what it is all about. You buy a lot of stuff, which can reach in the thousands, and the money goes directly into the pockets of the person you sign up under and so on and so forth. If you decide not to invest in this, nobody will make money off of you and you will be shunned by the people above you. If you are a person who wants to have an ethical business that can be applied to any niche and earn money, the Empower Network will not be the place for you. The fundamental focus will be to promote Empower to other people and that will make you a cyber criminal like the guys at the “top”. Do You Get Support Within The Empower Network? I would never recommend the Empower Network if you want a personal support system. You have to pay extra within the Inner Circle program which is $100 per month just for a series of videos and audios. Even at that $100 price point, it is not worth it, since it is just videos and audios. One of the worst thing is that you never have direct access to the owners. The only thing that the owners are active in getting is a lot of people promoting the product, but you will never see them genuinely helping out the people who are buying their product. There have been numerous complaints from past members of Empower Network that they have been talked down to by their team leaders (bully mentality) if they don’t go all in. When you go all in, you buy all the low-grade products (which make the people above you money) and if you decide not to pay for the up to $4999+ in products, be prepared to be called some of the most derogatory names. What Is The Price To Pay For Empower Network? The prices for the Empower Network is quite complicated and much, much more than what is mentioned on the outside. Below I will give you a full breakdown of the pricing. 1. Viral Blogging System (VBS) – $25 per month.This is the flagship product for Empower Network. 2. Inner Circle Membership – $100 per month. “Mindset Training” audios. 3. Top Producer Formula – a one-time payment of $500. (Originally named the “Costa Rica Intensive”) This is a video series which was claimed to be recorded in the mountains, near the beaches of Costa Rica. 4. Team Building Formula – a one-time payment of $1000. (Originally named the “$15k Formula”) again another set of video modules totaling 9, for a hefty price. It outlines how to use social media like Facebook, youtube etc. However, Empower Network can no longer be promoted using these mediums since it has been banned because of its unscrupulous nature. 5. Mass Influence Formula – a one-time payment of $3,500. (Originally named the “Master’s Course”) A series of videos that goes over niche marketing, list building etc. which is by the way available at a fraction of the cost in my #1 recommendation. Did you calculate the prices above? Over $5000! Just ridiculous, if you ask me just for a series of videos. If you were thinking of joining them, you might as well save your hard earned money and really invest in yourself. Why would someone want to pay over $5000 for some videos mostly about motivation and nothing much to do with owning your own online business and move toward financial freedom? Affiliate System – ($19.95 / per Month), Not Commissionable. The monthly fee is non-refundable. This is not a product, but rather part of the Administrative Process. You should never have to pay for an affiliate program. Ever! One thing you must know is that there is no PRODUCT. If you buy into the initial viral blogging system there are obviously different things that you can purchase which is there to boost the compensation model. You are ridiculed into buying it because the people that you sign up under will not give you any further help if you are not active within the Empower Network. The Empower Network is based on the CUSTOMER promoting the system to other people. Only a few people who are a part of this network have their very own website, or even understand the real way of creating an online business, or to promote other opportunities as well. You may have seen numerous people promoting the Empower Network to YOU sometime or the other, and it’s not because they genuinely believe in the product, but because they know that if you sign up under them, you are the one who will be earning money for them. One of the owners of Empower Network is located in Costa Rica which is a tax-free country, so these scammers avoid any taxation in the US. They are operating an illegal Ponzi scheme that top merchants like Paypal and major credit cards company (Master Card, Visa etc.) does not do business with. It is my duty to let you know that you should stay as far away from the Empower Network as possible. The members may be pressuring you to join below them, but it is just not an authentic opportunity and there is no genuine PRODUCT that you will be getting from them. Their system is pretty much centered around YOU selling the scheme to others, pushing it down their throats. This means you could be heading towards bankruptcy if you are not very careful. It is just not a $25 product at all. Article 2: Empower Network WARNING! If you may have been a victim of the Empower Network Scam, do leave a message below about your unique experience. I would really like to engage in conversation. Thank you for visiting. To your safety and success online. 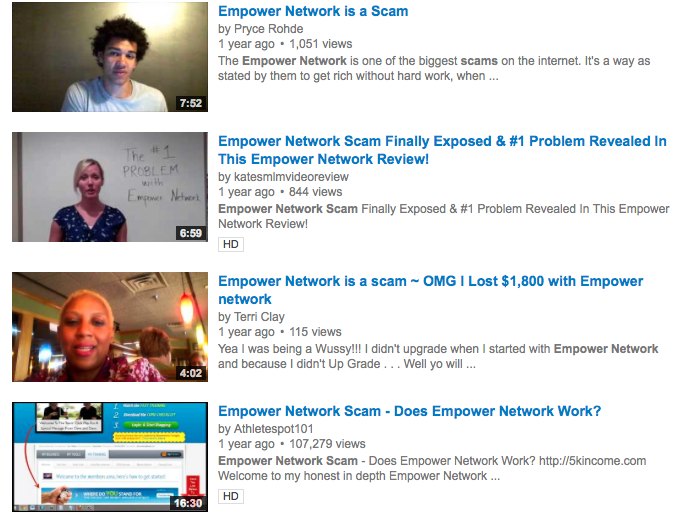 20 Responses to The Empower Network Review|Is The Empower Network A Scam? Wow, what a thorough review of Empower Network. Thanks for the great review. There are 1000’s of online program claiming they can help you make money online but at the end of the day they are not. Because of the increased number of online scams, it is always advisable to do our own research before buying any product. Here comes the great help from your review making my job easy I will come back to your website to learn more information. Thanks again! Thanks for taking the time to share your very valid views! Great review of yet another scam online, Jason. It is baffling to me that people would pay the exorbitant prices for a “product” like this when there are legitimate products out there that can actually teach them to be successful. I hope your review reaches far and wide and you save some people some money. This is what it means to protect and keep people safe online Christian; find and review the scams to save people money. Thank you for taking part in this discussion as it is important. Oh this Empower Network stinks! It is just a pyramid scheme and doesn’t seem like there is anything else of value. I don’t like this sort of thing at all. Thanks for making us aware of it, now I know to not waste my time looking at it. It may be one of the worst scams out there still. I find it really disturbing to know that still many more people are falling victim to this scheme. All they need to do is research a product before they commit to spend their money. Such a shame that this program still exits. Oh man. I feel so bad for that person that lost $1800 on Empower Network. I honestly can’t believe this place is still up and operating, especially after all the scathing reviews and the fact that it’s banned on both Google and Facebook. There are so many people still losing with the Empower Network. That is why I am still here exposing them and helping people to stop losing their money, and invest in something worthwhile. Thank you for your contribution Kinya. Finally some truth to overcome the hype. Scams like this depend on people rushing into them without having honest research to depend on. Thanks for the heads up. Thank you for taking part in this discussion. I am truly encouraged to know that you have found this post beneficial. It is my duty to expose as much scams as possible and at the same time enlightening people about genuine opportunities to grow a successful business. Once again, thank you, and if you need clarification on anything at all, I will do my best to assist. If any visitor is reading this, go for his no. #1 choice. Thank you for clicking through and commenting on this straightforward post. Honestly, I am here to save a lot of people a lot of money because I know that the internet is saturated with so many scams/schemes. Clearly, wealthy affiliate truly has no competition in this field. The training offered is top notch. Hello Jason and thanks for your detailed analysis of the Empower Network. You’ve clearly done your homework and it certainly looks likes this is another one to avoid. I suspected it might be but I wasn’t sure, so you’ve given me all the info I need to give it a miss. I just feel sorry for all those people who have wasted their money. Peter, thanks for stopping by. Yes, I have done my research and found out without a doubt that the Empower Network is a ripoff. Imagine the amount of money these guys are making from innocent, hard working people! I am happy that I could have provided this valuable information to you to help you along your journey online. If you may have any questions or further comments at all, do not hesitate to leave a comment. Thank you. I’ve heard of The Empower Network a few times, and I don’t think I have found anyone that has good things to say about it yet! It is a great pyramid scheme, has no product, and costs you outrageous amounts of money to be involved. When comparing it to Wealthy Affiliate’s program, it all seems really clear to me. There are major benefits to joining a reputable program verses the Empower Network that offers very little value. I don’t think there is even a question here as to what the best program is. Great review! Yes Michelle, that is what the Empower Network is all about; such a shame. If they had invested their time and effort in doing something ethical, people would have recommended them and they would have been the one that I am raving about. Its a good thing that places like Wealthy Affiliate is here to make things right.